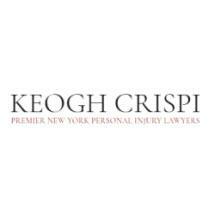 For over 40 years, the New York law firm Keogh Crispi has been helping personal injury victims; helping construction workers; and helping their families obtain justice. Whether your injuries were caused while working on a construction site; in a motor vehicle collision; by a fall; by a defective or dangerous product; through medical negligence or because of an accident on someone else's property, our commitment to you is to obtain the maximum monetary compensation you are entitled to under the law. Our unique skills and abilities as authentic Trial Attorneys, who are highly respected Courtroom practitioners, allow us to analyze each and every component of your case in order to prepare it for Trial. This occurs from the moment we begin working for you. Our attorneys know how to gather the necessary and powerful information; and to then convert it into provable evidence in a Courtroom. The insurance industry’s primary concern is with the manner in which the case against it is prepared. They know what happened; the real question becomes, can it be proven? It is this ability that sets Keogh Crispi apart from the rest. We understand the upheaval that a serious personal injury can cause. We understand the overwhelming financial and emotional difficulty our clients can encounter as they cope with the effects of their accidents on their lives and the lives of their families. Whether you are seeking benefits from your own insurance company or seeking damages from another party, our lawyers are here to recover the financial compensation and medical care that you need. Our experience; our dedication; and our reputation make Keogh Crispi a premier personal injury law firm. Leave nothing to chance ― contact us and schedule your FREE consultation. Our office is conveniently located just two blocks from Grand Central Station. However, we also travel throughout all of New York City into Long Island, Westchester and beyond to meet our clients. Do not let the insurance company make you a victim for a second time; contact us today.